Interceptor is why I love comics. Last issue, we met Weep and Poli and a planet earth consumed by both nuclear fire and a vampire apocalypse. This issue opens with Weep and Poli in jail – vampire jail. Cates and Burnett hit the ground running. While last issue built the world, this issue rips through it. We meet some new characters and learn some more about people (and vampires) we’ve already met. The thing I enjoy most about Interceptor is that it doesn’t fall into the dour, grimdark tone so many post-apocalyptic stories suffer from. Yes, things are dark for the humans who survived on Earth, but it’s more like a gory Star Wars than it is Dawn of the Dead– it’s more Six String Samurai than it is The Road. At this stage of the game, this is the world. Sure, it’s dark, but it’s the only one these characters know. Don’t get me wrong, I love a good sad story from time to time, but it’s also refreshing to see Donny Cates, Dylan Burnett and letterer Taylor Esposito explore vampire infested nuclear wasteland with a sense of humor. Interceptor # 2 starts to focus the story. 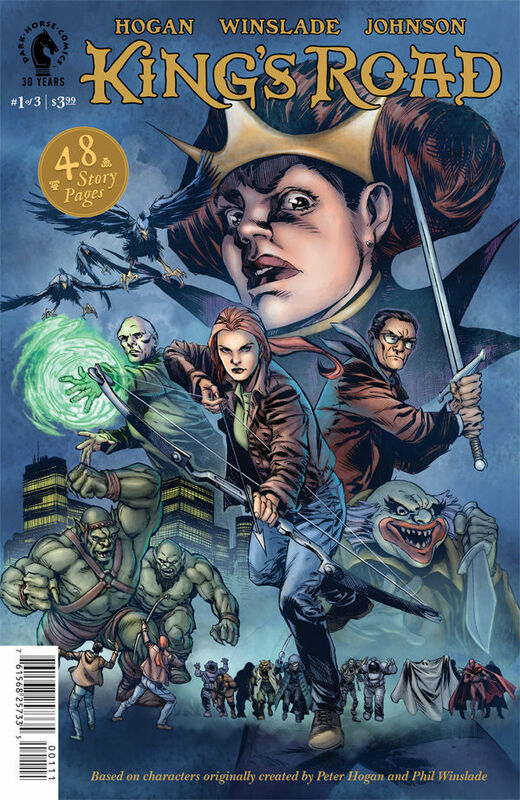 Cates and Burnett introduce Weep’s family as well as the vampire queen. Poli’s separated from her armor and weapons and we can infer how the Earth-dwelling humans survived. It’s said that comics have an unlimited budget, and while Dylan Burnett has no problem drawing some incredible action scenes throughout this book, the reason it works is because henails the characters reactions to each other and the world they live in. The ability to deliver that kind of character work while telling story about vampires in space is precisely why I love comics. Unwinnable’s intrepid Ian Gonzales recommended I check out King’s Road, knowing that I’m on the lookout for new stuff to read. Ian’s got a good eye, so I figured I’d give the book a whirl, but what really sold me are the evil spaceman and his ghost partner on the cover. Our story starts with some inter-dimensional travelers (Hop, Caloc and a golden retriever) coming to protect members of a royal family from mythical beasts. The travelers also bring bad news: the king is dead! Caloc begs the late king’s brother Donal, whose family Hop and Caloc just saved, to assume the throne. Donal refuses, telling Caloc to instead ask his sister Amerine to wear the crown. Then it is revealed that Amerine is the traveling golden retriever! From this description, one might think the story takes place in a time of swords and stones and runes and Minotaurs, but no – there are smart phones, malls and angsty teens. The time is now and we’re in the suburbs! We do get to see a Minotaur in battle, though. Issue #1 is divided into two parts: the first collects tales already told in the Dark Horse Presents anthology series, with words and art from Peter Hogan and Phil Winslade. The second half continues the tale, this time with Staz Johnson on art and Douglas Sirois on colors. Although the colorist for the first half isn’t named, I’m assuming it was someone other than Sirois. Sirois’ colors are a bit neater, particularly in skin tone, where in the first half the faces look splotchy. But that’s just me nit-picking, as I don’t really have an issue with the art in King’s Road, and Winslade and Johnson’s art mesh well. While not a mini-series, King’s Road‘s first arc is planned to be only three issues, so this should keep the story fast and tight. The book is a blast from first page to last. 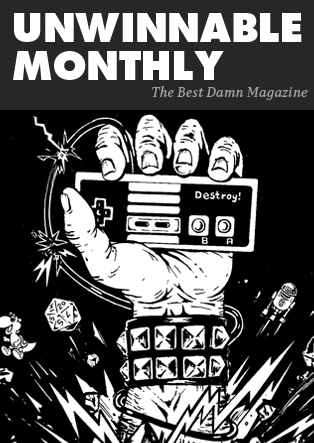 And the price is right too – you get a double-sized issue for the price of a single! Do I need to cool it with the exclamation points? King’s Road takes you on a roller coaster into another dimension. Literally. Evil beasts force our heroes onto a roller coaster at one point. And we learn a new sounding of an explosion in comics – fruhh-boom! King’s Road is both educational and entertaining, so buy a copy for your kids! There have been many adaptations, mash-ups and tributes to the classic manga series Lone Wolf And Cub. Originally created by Kazuo Koike and Goseki Kojima and published in 1970, this series has proven to be timeless in its simple story of a special child being protected by a merciless killing machine father. 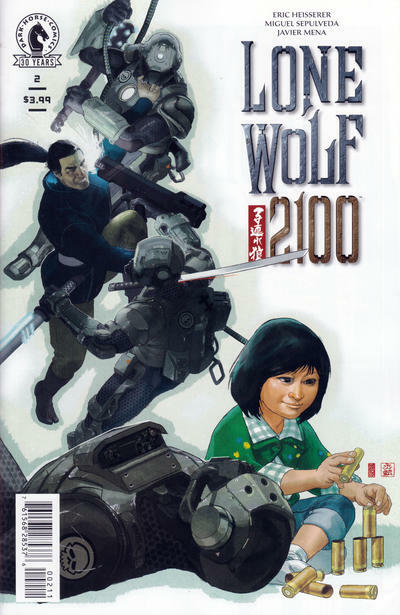 In Lone Wolf 2100: Chase The Setting Sun we see a continuation of this inspired twist on the formula that also borrows form Richard Matheson’s I Am Legend, Akira, Blade Runner, Judge Dredd, a little 80’s Frank Miller and a number of other science fiction and apocalyptic sources. Overall it makes for an enjoyable package, albeit one that should be handled with care because it could easily break. This story set in the somewhat distant future, in a world ravaged by a manmade plague. Millions of people are turning into bloodsucking mutants. Daisy Ogami, the daughter of the scientist who’s discovered a vaccine, is being protected by an almost unstoppable android bodyguard named Itto. Itto has been tasked by Daisy’s father to protect Daisy because her blood holds the possibility for this vaccine. Where the twist comes in is that Itto is not protecting Daisy from the monsters you think he’s supposed to be protecting her from. Eric Heisserer is writing a layered story here, where much of the problem lies in the corruption of the powerful government and corporate interests than in the vampire zombies ravaging the land. Itto doesn’t trust humans, and in this issue we see why. Armored and heavily weaponized soldiers are desperate to obtain the girl for their bosses, so that the first to claim to be the source of the vaccine can reap the fame and fortune that will entail. It’s sick but unfortunately realistic, as we see in our own world numerous diseases killing millions that are not being tended to until the proper monetary compensation and credit for the medical corporations can be agreed upon and figured out. Miguel Sepulveda does excellent work conveying this sick futuristic world. On the one hand there are killer androids, mech-like armored suits and rocket bikes. On the other there’s ravaged cities and a port at the end of this issue that’s literally choked with boats. It’s a world drowning in its own greed and excess, and sick with vampiric germs. While sometimes his art can be a little pedestrian and utilitarian he makes up for it with art that establishes the atmosphere and so far per issue conveys an overall mood, as well as does a fantastic job conveying the intense action sequences. 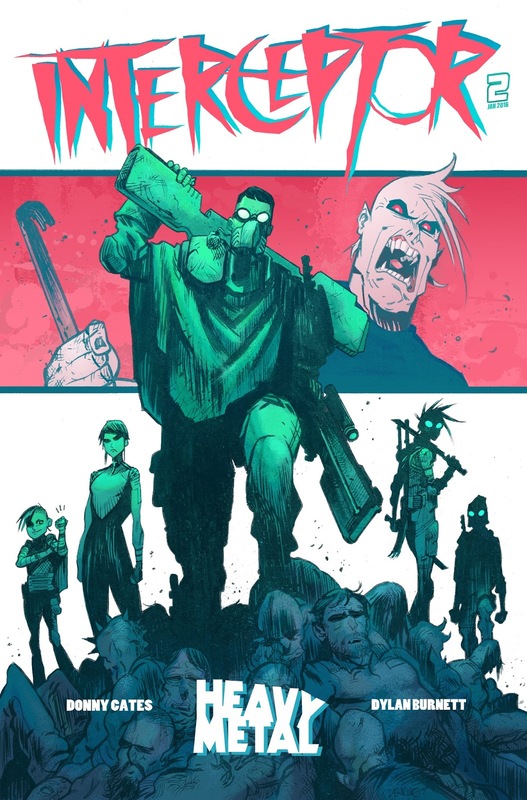 In the first issue it was the darkness of a museum in a city, in this issue it’s the bright hopefulness of the country and a pastoral horse farm, where children and horses are being safe-guarded from those infected by the T-Virus and the destructive hunters. This series is so far very good, but potentially fragile like I mentioned above. Most importantly it is the story of Itto and Daisy, and their finding a safe haven that will take in Daisy and use her special blood for good humanitarian purposes, and not for fame and profit. While Itto seems unstoppable it’s only a matter of time before weakness shows. If anything it could be his own self-awareness, which is leading him towards hating most of humanity. I hope we stick to the principal characters and don’t venture too far into the apocalypse and the “wow, how bleak can we get?” factor, because like The Walking Dead that leads the reader down a path that goes to nowhere. Much like the world in this story what could sink this series is if it drowns in its own excess. So far it’s sailing along fine.